Inositol is a natural sugar that promotes overall relaxation and maintains the proper metabolism of serotonin. 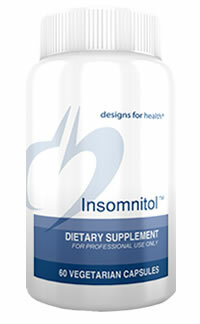 It also helps agitated, anxious patients with dificulty sleeping. High doses have been studied for obsessive compulsive disorder and manic depression. 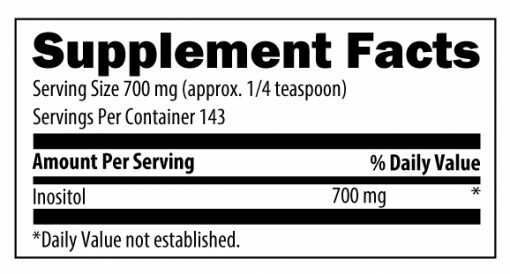 Inositol is a natural sugar that promotes overall relaxation and maintains the proper metabolism of serotonin. It also helps agitated, anxious patients with difficulty sleeping. High doses have been studied for obsessive compulsive disorder and manic depression. 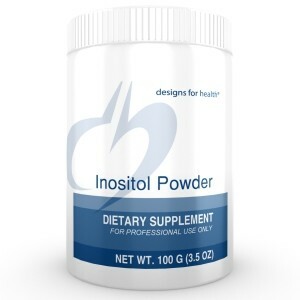 Inositol may also be beneficial in cholesterol transport out of the liver. The powder readily dissolves in water and has a slightly sweet taste. Dose not have a significant effect on blood sugar levels. 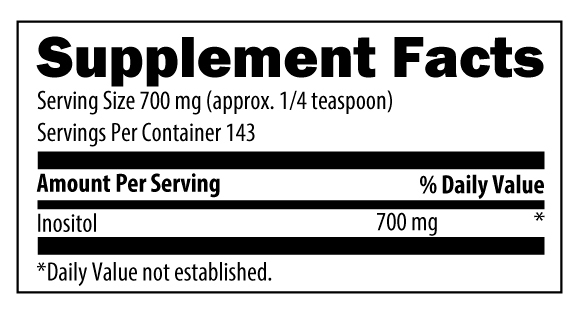 Usual dose is 1 to 3 teaspoons daily, or as recommended by your physician.